"It is a known fact that giant waves occur on the South African coast in the Agulhas current region, where southwesterly gales prevail against the southward flowing Agulhas current. 'Abnormal waves of up to 20 meters in height, preceded by deep troughs may be encountered in the area between the edge of the continental shelf and twenty miles to seaward thereof'. 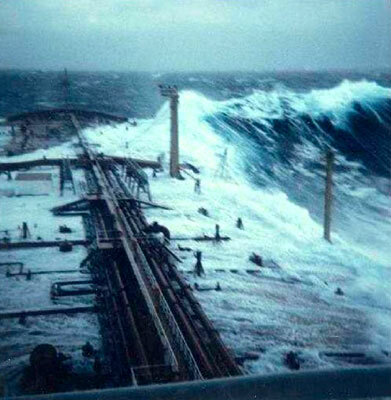 This rare photo of a rogue wave was taken by first mate Philippe Lijour aboard the supertanker Esso Languedoc, during a storm off Durban in South Africa in 1980. The mast seen starboard in the photo stands 25 meters above mean sea level. The wave approached the ship from behind before breaking over the deck, but in this case caused only minor damage. The mean wave height at the time was between 5-10 meters. Rogue waves (also known as freak waves, monster waves, killer waves, extreme waves, and abnormal waves) are relatively large and spontaneous ocean surface waves that are a threat even to large ships and ocean liners. In oceanography, they are more precisely defined as "waves whose height is more than twice the significant wave height (SWH)," which is defined as the mean of the largest third of waves in a wave train. 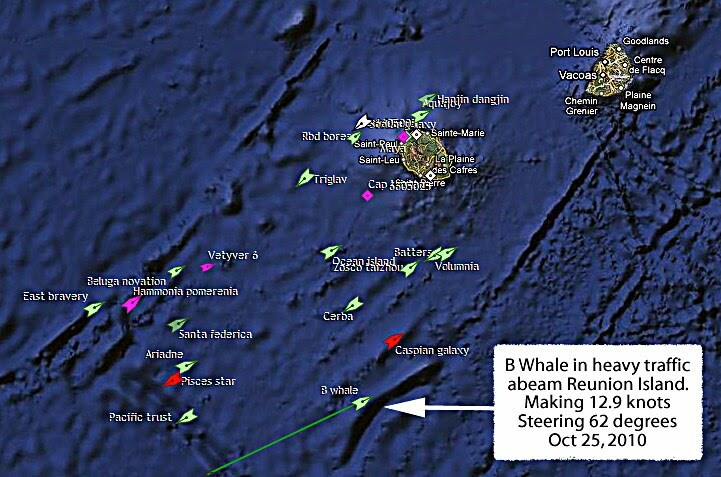 Today, the westbound "A Whale" and eastbound "B Whale" are passing abeam each other off Reunion Island. 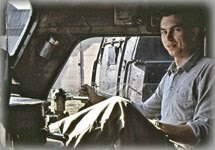 Unfortunately, the marine reporting service to which I subscribe suffers from a dead zone where the sisters are passing, between Madagascar and Singapore Strait. "Ehhh... yaaah. A Whale, A Whale, A Whale. This is Captain B Whale. Do you copy? Over." "Yaaah. This is A Whale. Copy, B Whale." "Ehhh... yaaah. This is Cap'em B Whale. Ehhh ... yaaah. Confirm Port-to-Port is okay with you, skipper. Over." "Yaaah. Copy B Whale. Understand you. Port-to-Port. That looks good to me. Okay. A Whale - out." 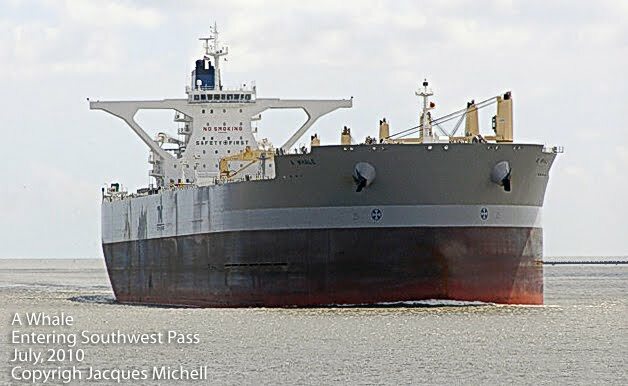 Now, her sister "B Whale" has led us to Kumba Resources and the second longest iron ore Heavy Haul corridor, Orex, in South Africa. 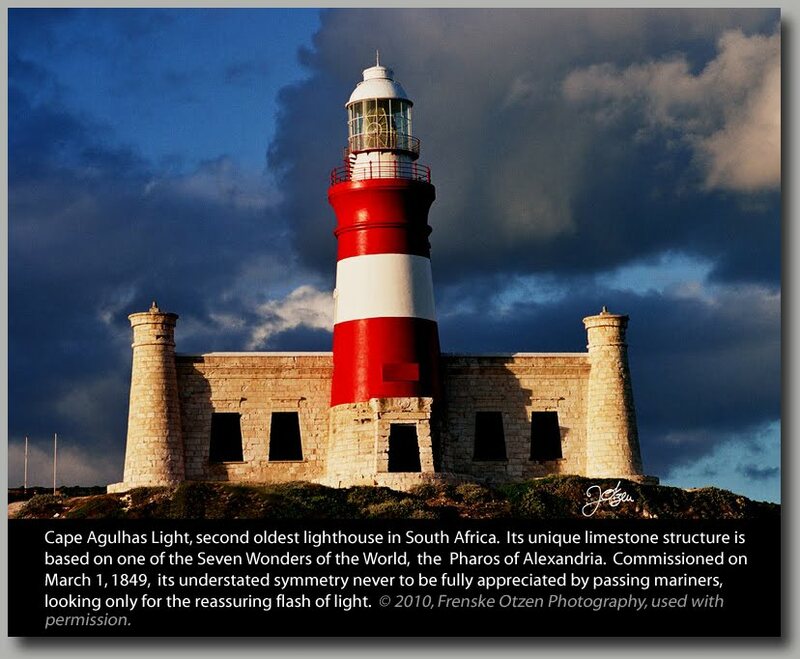 Moreover, those events, in turn, led to Frenske Otzen, photographer, who graciously allowed me to feature her stunning photograph of the Cape Agulhas Lighthouse. 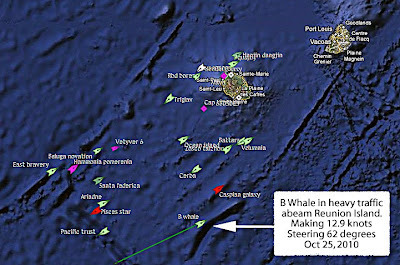 Both the "Whales" are passing this historic landmark, as they make their way along the iron ore trade route. Ms Otzen has stunning examples of her work on her website, which I encourage you to peruse. Part II of the Orex line will be up this week; waiting for confirmation of certain data.